It feels as though every time I write a new blog post I seem to be apologising for or at least acknowledging the fact I haven't been keeping this blog up to date. So I'm not going to do that this time. What I'm going to write about is new beginnings. Because for the fifth time in my life I am starting a new novel (discounting of course all the false starts I had in my 20s when I should never have been attempting a novel, but counting my first, unpublished novel). What happened to the last one I was writing? Well, if you look to the right of this blog you'll see my 'picometer' widget which has been tracking my progress on the children's novel I was chipping away at. And guess what? I finished it. Quite a while ago actually. And it's going to be published, too, but I'll post about that in more detail at a later date. Let's just say that I surprised myself, because I am always complaining about what little time I have to write with two pre-school-aged (hence the neglected blog) but it turns out that just tapping away a few hundred words here and there actually gets you a book. Admittedly a very short book. What this all means is that I am starting again. I have been trying to start again. But damn, I have just been reminded how damn hard beginnings are. My children's book was actually a breeze in that department. The whole idea came to me while I was out walking one day and I went home and wrote the first chapter. The voice of the story, of the main character, arrived in my head immediately, and once you have the voice, the book just writes itself really. So of course when I had my big idea for my new book, I just expected that I would sit down and out it would come. But it didn't, did it? 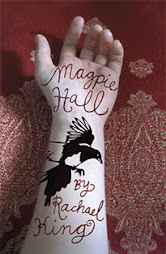 And then I remembered how long it took me to really get started on Magpie Hall. Months actually. I even wrote about 10,000 words of a completely different book, but that one died a horrible death and Magpie Hall assembled itself from its squashed bones and guts. And it took me so long to find Rosemary's voice. I wrote so much that never made it into the book, just finding my way into her head, into her life. The result being that I knew an awful lot about her, which was a good thing, but at the time it was actually quite painful. I moaned about quite a bit on this blog, actually. 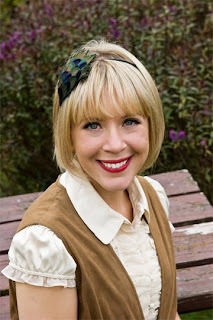 In fact I started this blog as a diary of writing Magpie Hall, really. Maybe this process will bring me back to this blog as I work through things. So. New beginnings, and lots of words to write that will never make the final cut but which will get me into the head of my character. In the meantime I am learning things about her, and her family, who I think will be quite wonderful. They're already becoming like real people in my mind, just not on the screen. I won't lie, it's an exciting time, but I just have to remind myself that each book is not necessarily as easy as the last. Upcoming Events and a Catch Up. I cannot believe how busy life is at the moment. My poor old blog seems to be the last thing I get to these days after looking after two kids under 5, mentoring other writers for the New Zealand Society of Authors and the Hagley Writers' Institute, judging the BNZ Short Story Awards (Novice section), serving on various boards and panels, presenting a citation at the Arts Foundation Icon Awards, being stranded by ash clouds, writing a novel for children, and launching and publicising The Silence Beyond: Selected Writings by Michael King. Twitter suits me well these days, as instead of sitting down and composing a post I can just go blah! on Twitter in thirty seconds (and you can follow me here), on everything from books I'm reading to those pesky earthquakes. But don't worry, this isn't a death of the blog announcement, it's a quick update of where I'm at, with some links, and an announcement of some upcoming events to keep me even busier. But back to The Silence Beyond. A slightly revised version of the introduction I wrote appeared in the Listener a while back. It is available to read online here. It says everything I want to say, really. I am very happy with the book and its reception so far. I will be discussing the book, the process of assembling it, and Dad's work, with Lloyd Jones at an event in Christchurch on July 27th. 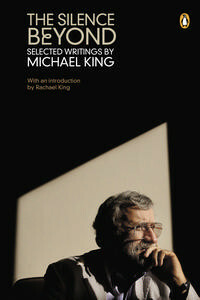 More information can be found on the Christchurch Writers' Festival website. Lloyd has kindly offered to take a break from his hectic schedule, between Bougainville and Hobart, to help give the wearied book-lovers of Christchurch something to look forward to. The festival is putting on other fantastic events too, throughout August and September; information can be found on the website. A few days after that, I will be appearing as part of Great Lake Tales in Taupo, in an event at the Hilton on July 31st. I'll be talking about how I started writing, and the process of writing and researching my two novels, The Sound of Butterflies and Magpie Hall. 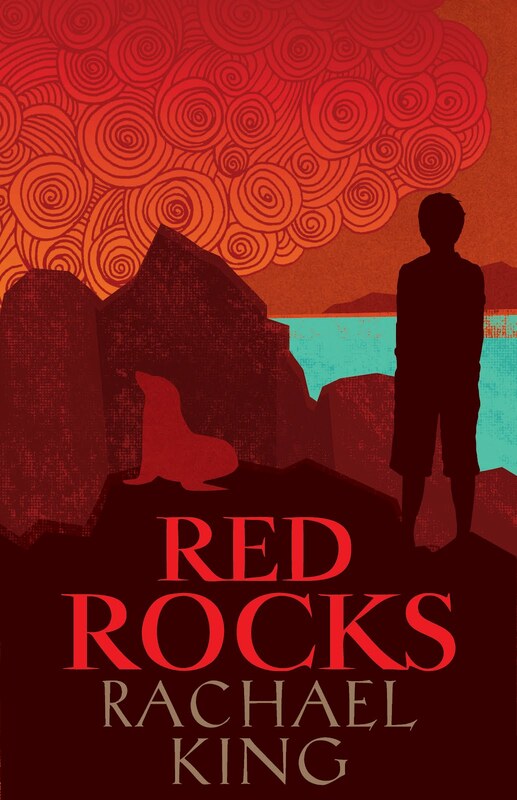 I might even read from my current project, a children's novel called Red Rocks. More information, and details of a bookstore signing, can be found here. Things should settle down a bit after that, and with more writing time I hope to devote more time to writing about writing ie keeping this blog active. Just a quick sign-in to let readers know my family and I are all safe after the Christchurch earthquake. One day I may recover enough to write about it, but for now we're taking it day by day. Huge virtual hugs to others in Christchurch and around the country affected by this terrible disaster. My website is now fixed! As you were. Thanks for visiting. My official website is down. Apologies to anyone trying to get into my official website - it seems to have been hacked by someone nasty. The situation is being remedied and business should be resumed soon.